From goodreads: The epic saga of love and war continues—the heart-stopping sequel to Paullina Simons’s beloved international bestsellerThe Bronze Horseman. Tatiana and Alexander is the second book in The Bronze Horseman Trilogy and it’s equally as good as the first book but also very different. Simply said…I’ve been rendered speechless. As much as this story is about loss it’s also about a love so intense that it breeds hope during the most desperate of times. 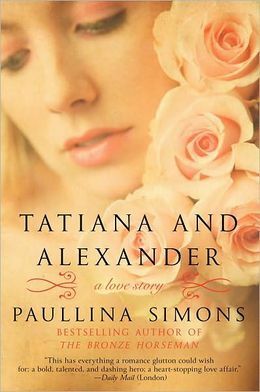 Tatiana and Alexander is mostly told in Alexander’s POV and I found it to be incredibly insightful. So many questions are answered due to the flashback sequences of when Alexander was a boy and the intense drama surrounding his parent’s involvement in the Communist Party movement (which was on the rise in the US). It was absolutely fascinating. There are also flashback sequences to when he first saw Tatiana Metanova and when he realized he fell in love with her, it was those very memories that would keep him alive during the war and/or torture him. While those flashback sequences of how he met Tatiana isn’t new information, it’s giving you his perspective on his thoughts and feelings which I very much appreciated. What is projected throughout this book is the intense love that both Alexander and Tatiana have for one another, it never falters and it’s completely unyielding. The longing for each other is there and it’s magnified over time, even though they have been torn apart in the cruelest of ways. Both are doing their very best to survive without each other and sadly they become a shell of the people they once were but they are both fighters. Alexander is filled with such despair that he broke my heart into a thousand pieces. He faced things as a soldier and as a POW that no one should ever have to experience but I suppose that’s the unfortunate, harsh reality of war. However, his mind and heart always circled back to Tatia. I feel completely gutted after reading this book and I cannot stop thinking about what Tatiana and Alexander had to endure; I’m emotionally exhausted and i wouldn’t have it any other way. This story is so heartbreaking and yet, incredibly moving and touching. The ending blew me away, it will leave you wanting more…so much more!! !